What is happiness and how is it measured? Is happiness really a destination? Or is it rather a lifelong quest, or perhaps a lifelong learning process? Marc Reklau examines the scientific side of happiness and shows that it is much more than the opposite of sadness. More than 200 studies confirm that happiness and positivity lead to success in almost every area of life. And best of all, you can learn to be happy. It’s possible to achieve success and happiness in life through a series of habits that will support us on the path to this goal. 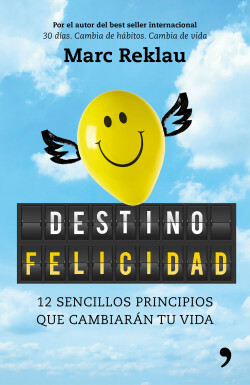 In a direct, clear way, the author explains the 12 principles that lead to happiness and instructs us on the best way to put them into practice in order to make them part of our daily lives.